Hands down this is one of the most fluid arrangements we've ever heard. 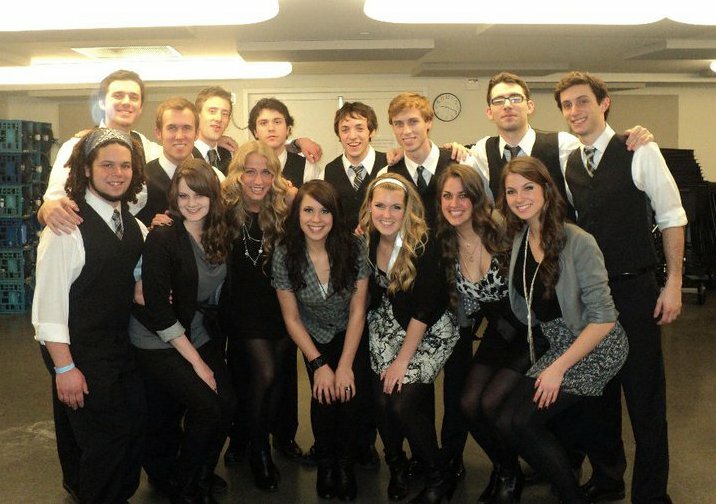 Back in 2010, Pitch Slapped from Berklee College of Music burst onto the ICCA scene in superior fashion. While they weren't completely at the powerhouse level they would eventually come to be, winning the whole ICCA competition in both 2011 and 2014, they were still a force to be reckoned with. Throughout the years they have given us some immaculate and pristine performances and arrangements. Without a doubt, one of their most memorable and most watched with over 70K views came during their 2011 ICCA Semifinals performance. Pitch Slapped wowed the audience and any viewer who has seen the video with a cover of Beyonce's "Halo," which till this day, still stands as the best version I've ever heard of the song. Most notable is the group's masterful control of rhythm within the backing parts that honestly makes you forget that voices are indeed the featured instrument. The whole song is amazing, and was arranged and soloed by Hannah Juliano who is BIG in the a cappella community. Relieve this gem in the video below.